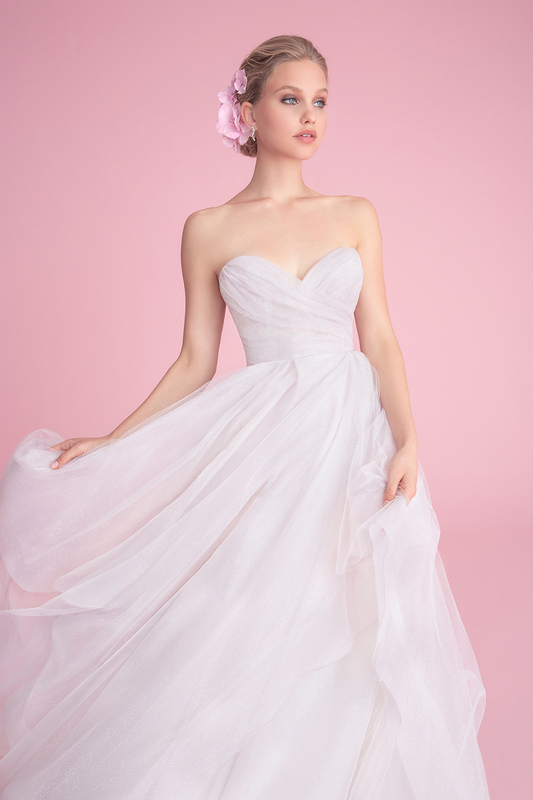 Nothing makes our day quite like new wedding dresses from Hayley Paige! Her gorgeous Blush Collection just debuted its Fall 2018 bridal gowns and we can't wait to get our hands on these dreamy dresses! They will start arriving at Haute Bride in the fall, but we are holding a special preview Trunk Show that Hayley brides will not want to miss! This collection has all the hallmarks we have come to expect from Hayley Paige - the modern princess style, the flirty layered skirts, and the fresh bridal style! She ramps up the wow factor by adding glittery floral prints, shimmering skirts, and the most delicate gemstone inspired colors! We can't wait for our brides to fall in love with these stunning dresses!